Time: 1-4pm Location: Saugeen Room Cost: $20/child Registration is required; space for 20 kids. 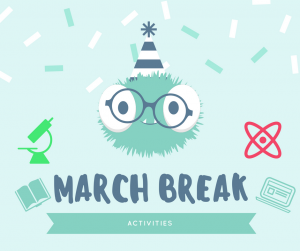 This entry was posted in Events and tagged activities, children, Children's Programming, Community Events, Crafting, Crafts, DIY, Kid's Programs, March Break. Bookmark the permalink.